LAS VEGAS - Dec. 27, 2018 - PRLog -- Sun God Medicinals announced today the expansion in Nevada, with the addition of two new pet retailers distributing the infused hemp pet oils in Las Vegas, Nevada. Las Vegas locations include Nature's Pet Nutrition Center & Wellness Spa and Snooty Pets. Both will be offering Sun God Medicinals' all-natural hemp infused herb oils to ease most ailments for furry loved ones. 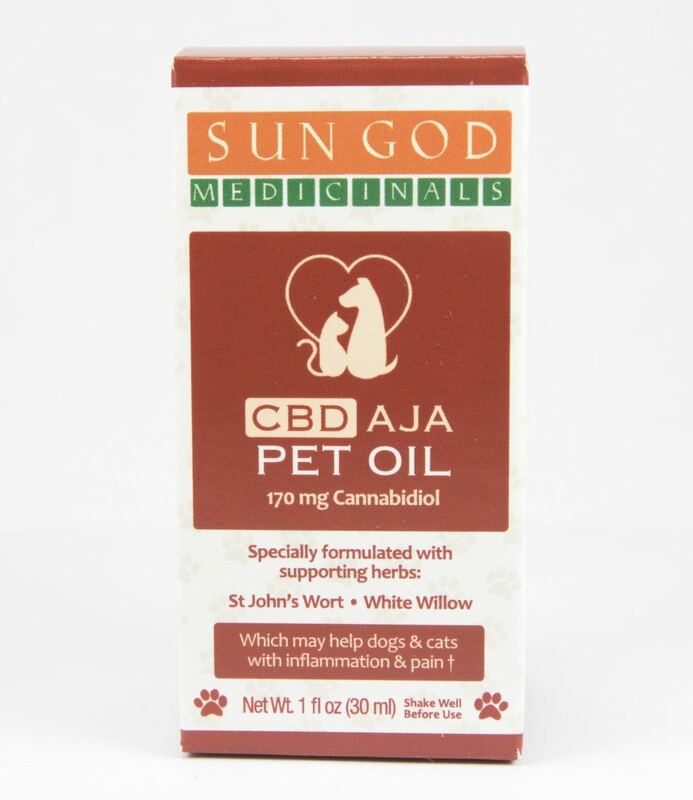 "We've helped thousands of pet owners treat their pets with our healthy infused hemp CBD pet oils and we look forward to helping thousands more with the addition of our new Las Vegas retailers," states Brie Malarkey, CEO of Sun God Medicinals. "Our products help improve the health and quality of life of furry loved ones, and now Las Vegas has locations to service the pet owners in and around Las Vegas." Sun God Medicinals' pet oils contain nutrient-dense olive oil, herbal allies, and Oregon grown hemp. 100% cruelty-free, vegan, and non-GMO. The infused pet oils are specially formulated with supporting herbs that may help dogs and cats with with mood, worry and fear, mobility, overused muscles and overactive nerves. Headquartered in Central Point, Oregon, Sun God Medicinals was founded in 2014 to process, blend & extract quality healing herbs from Southern Oregon - from herbal teas; tinctures, capsules, topicals and edibles to extracts. In November 2016, Sun God Medicinals LLC received an Oregon state cannabis processors license to make and sell cannabis and hemp products to OLCC licensed retailers. In 2018 Sun God Herbals LLC licensed to manufacture the herbal and hemp product lines in an Oregon Department of Agriculture approved facility. Both companies are proud to be certified organic by Oregon Tilth and all Sun God products are made from naturally grown herbs that can be cultivated in Southern Oregon in small-batches to ensure quality.